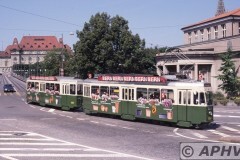 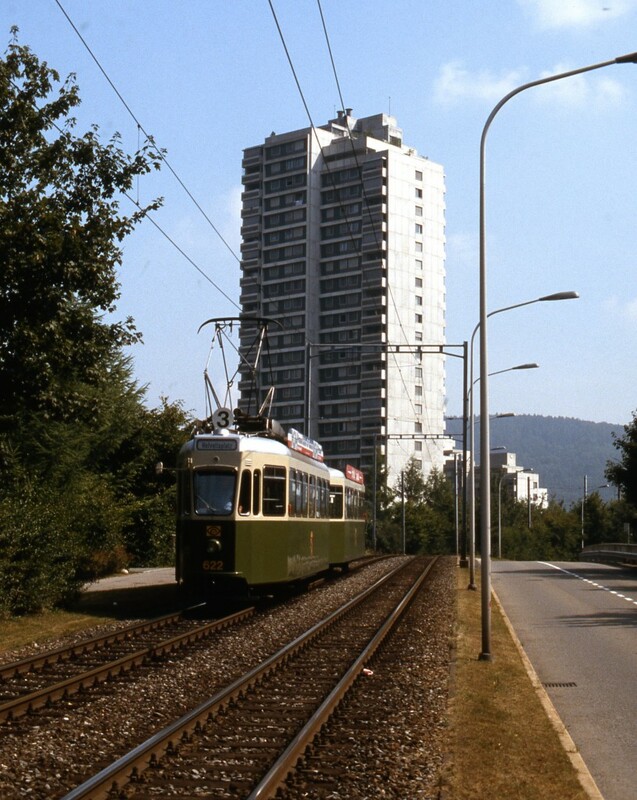 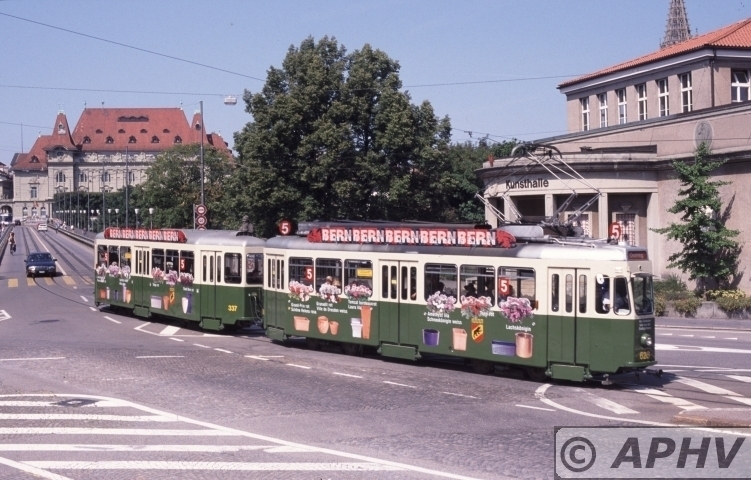 Group tours: Weddings, aperitifs, dinners or lunches …an event in the tram will always be an adventure. 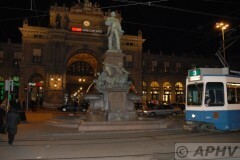 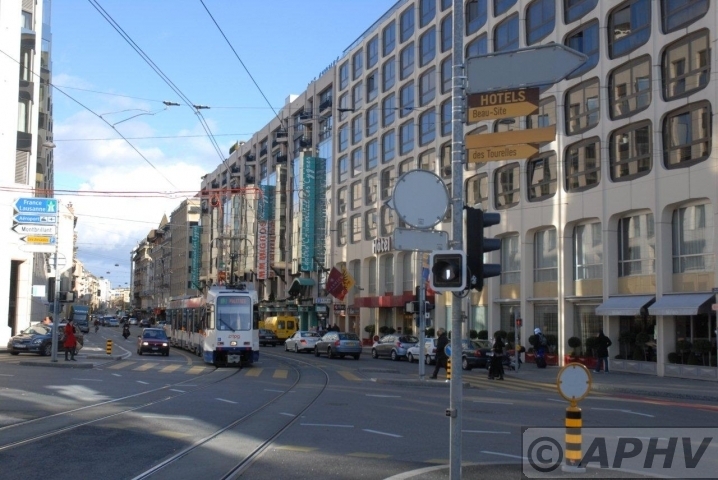 Roundtrips through Zurich incl. 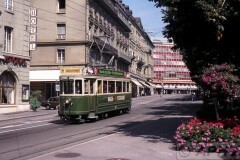 culinary treats. 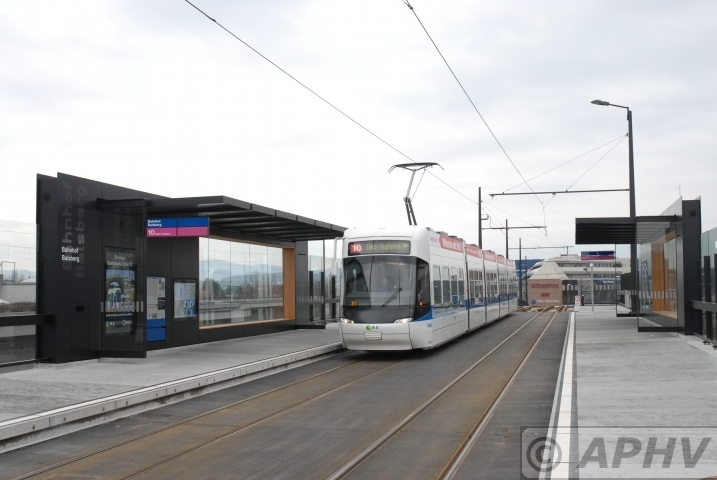 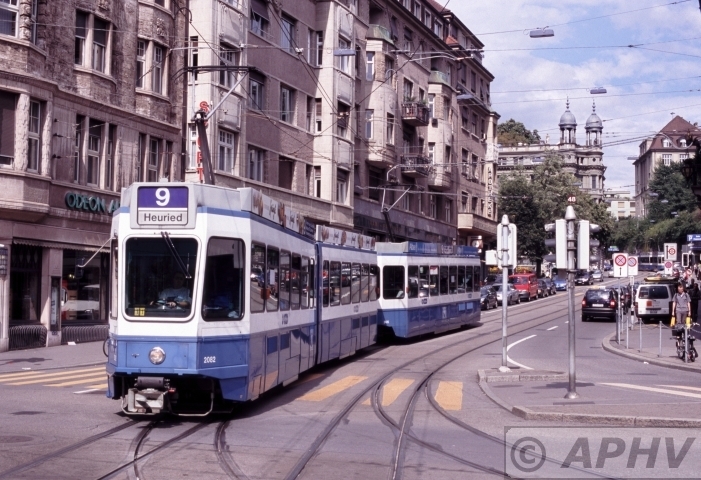 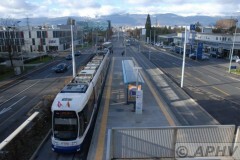 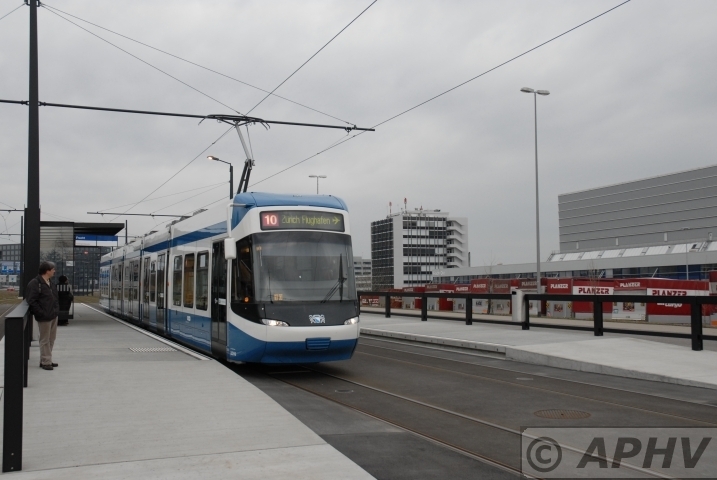 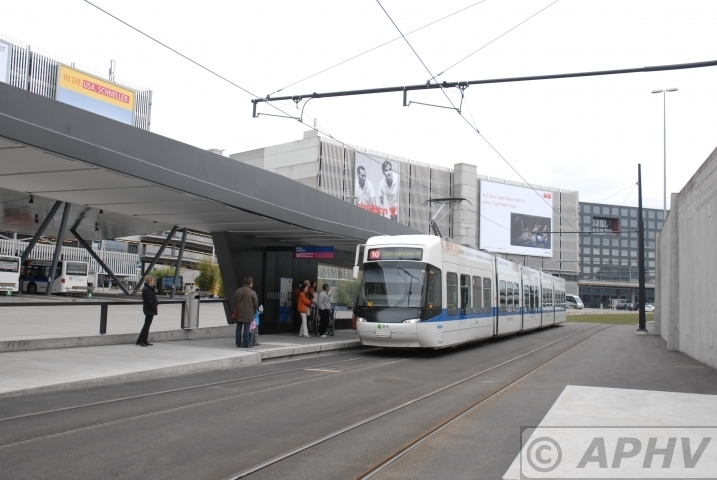 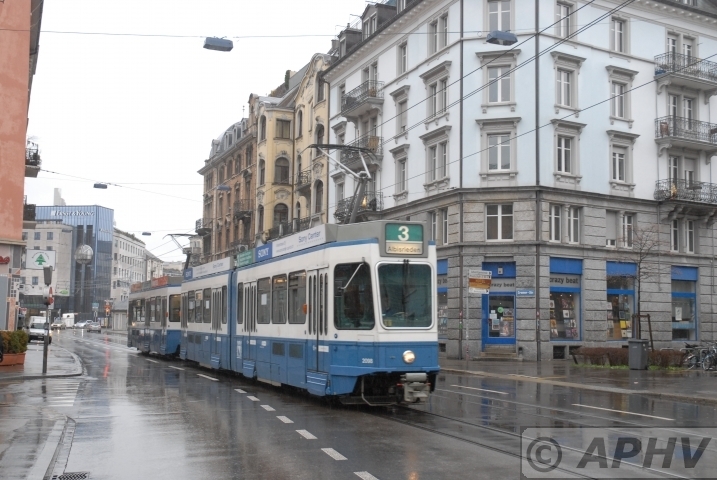 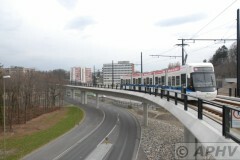 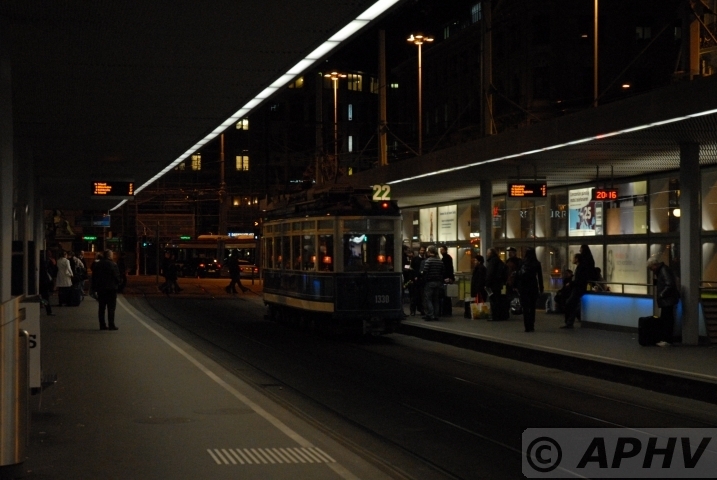 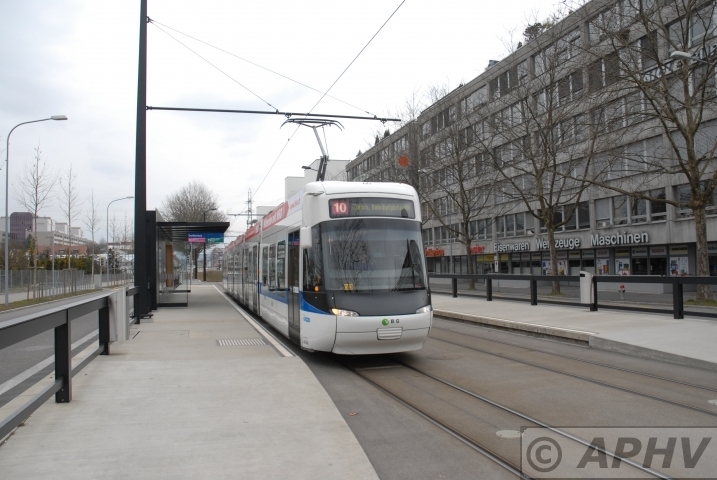 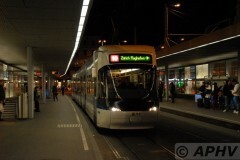 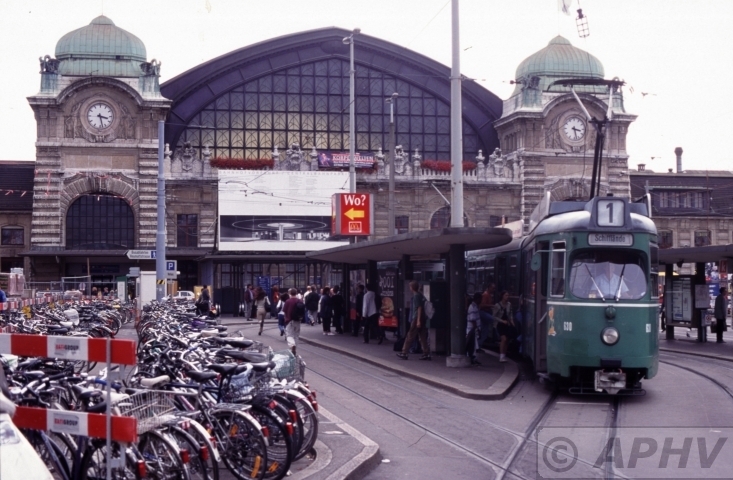 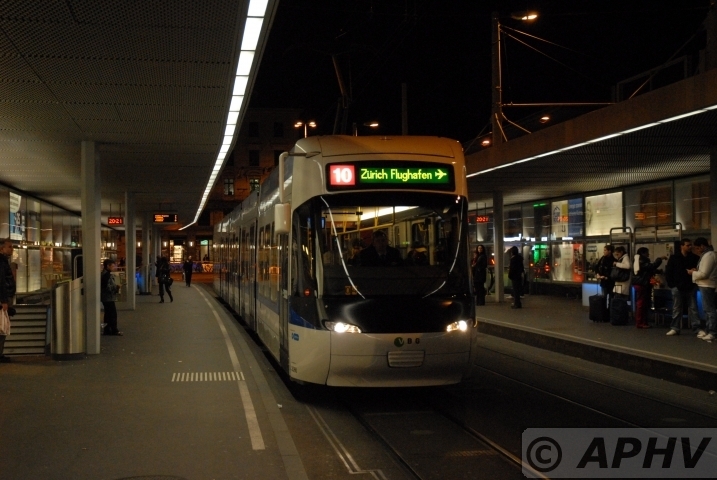 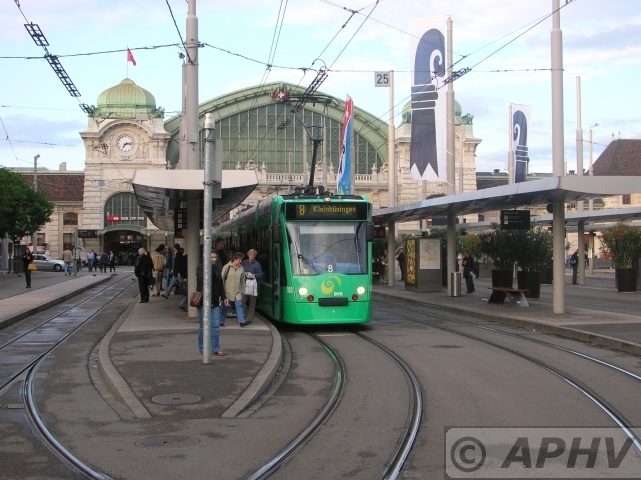 Boarding and deboarding possible at every station of the VBZ. 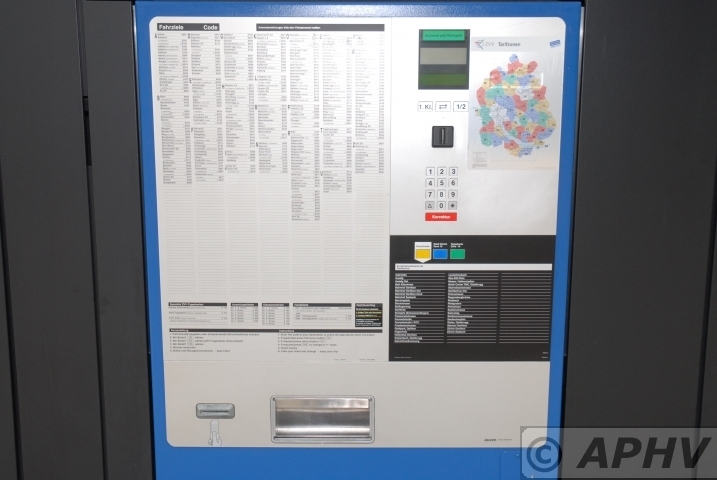 your service. 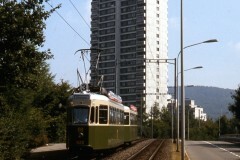 Boarding and deboarding are mostly at the Bellevue. 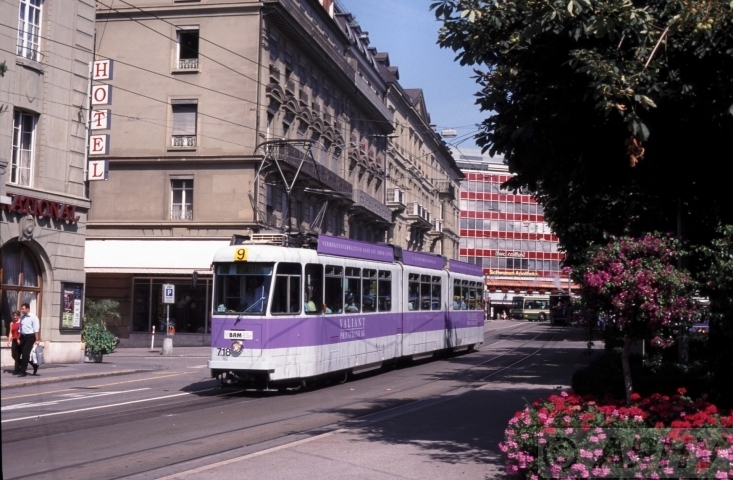 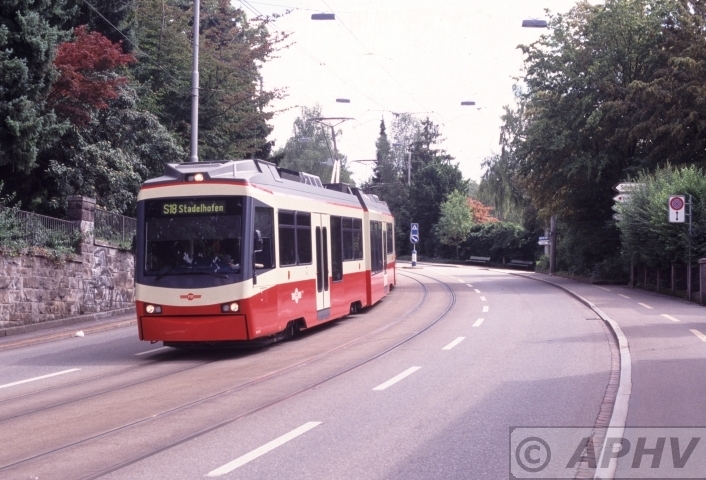 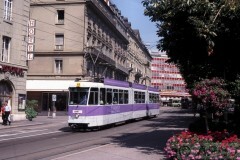 Bern 19 August 2000 The prototype Combino from Siemens on trial in Bern. 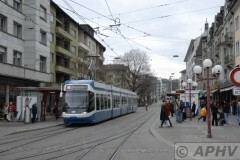 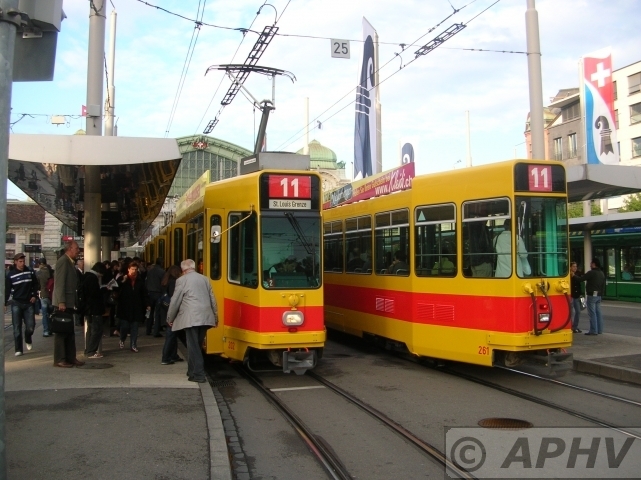 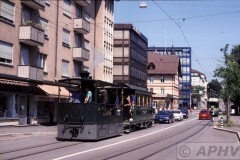 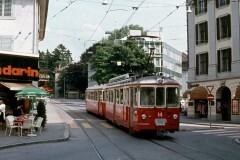 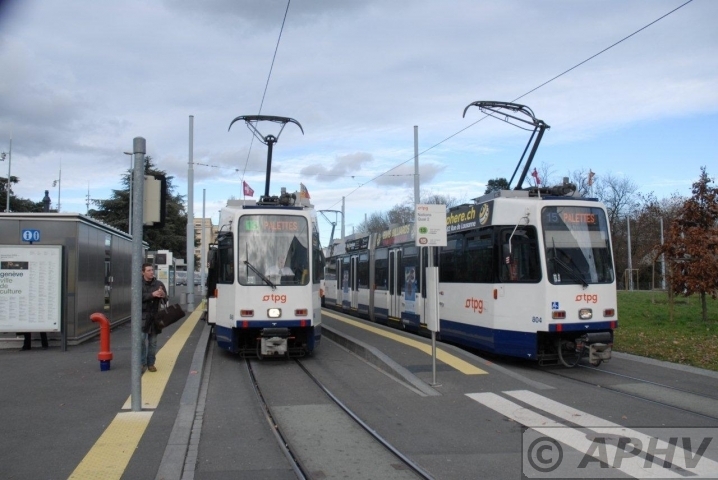 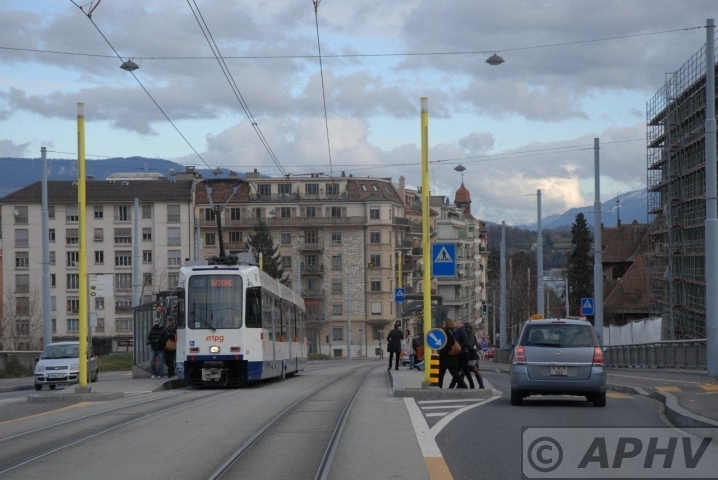 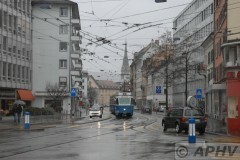 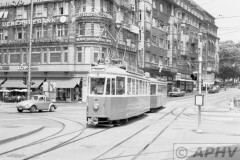 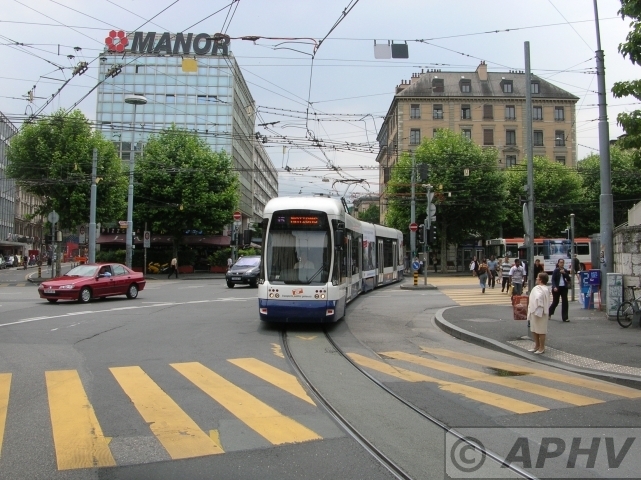 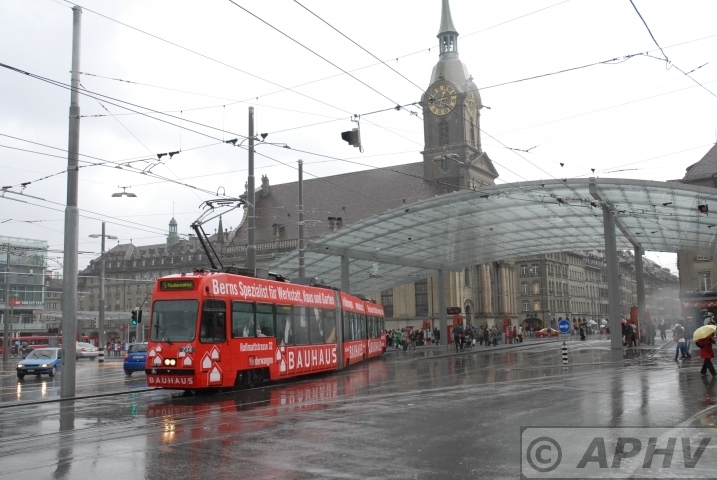 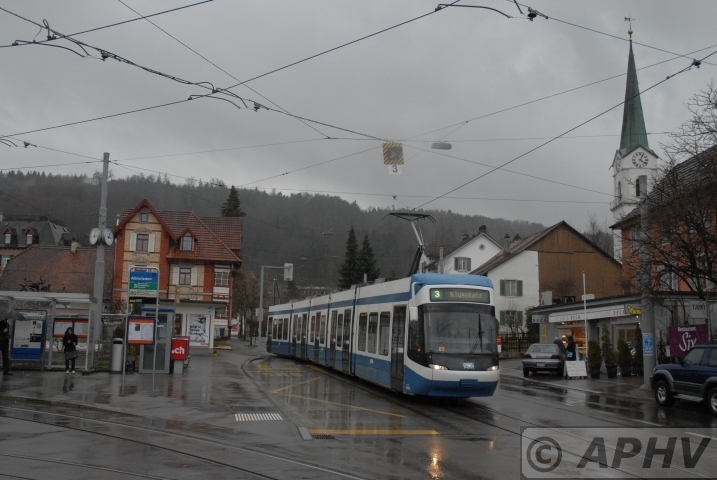 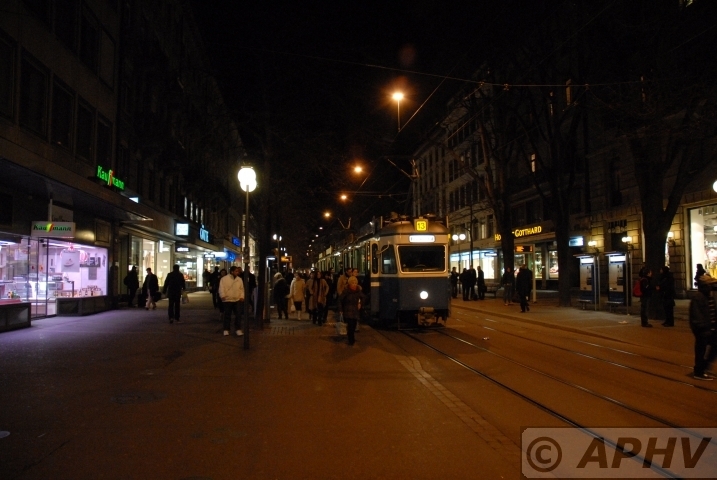 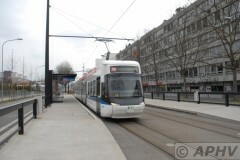 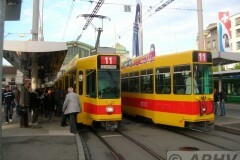 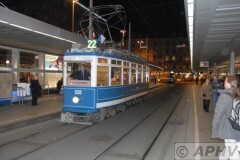 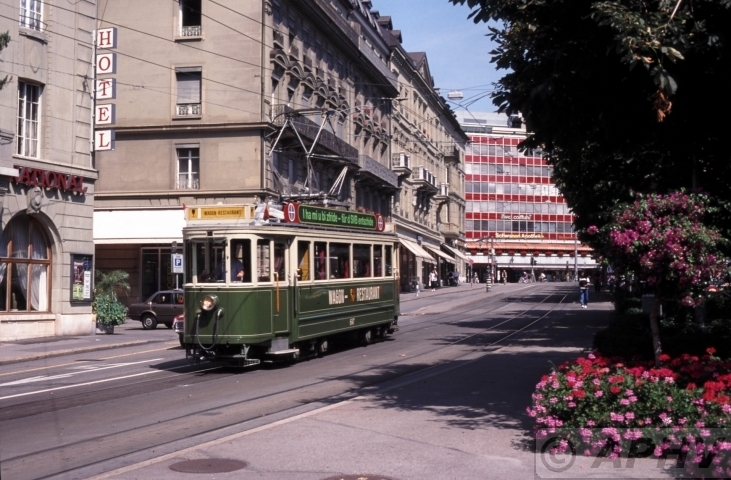 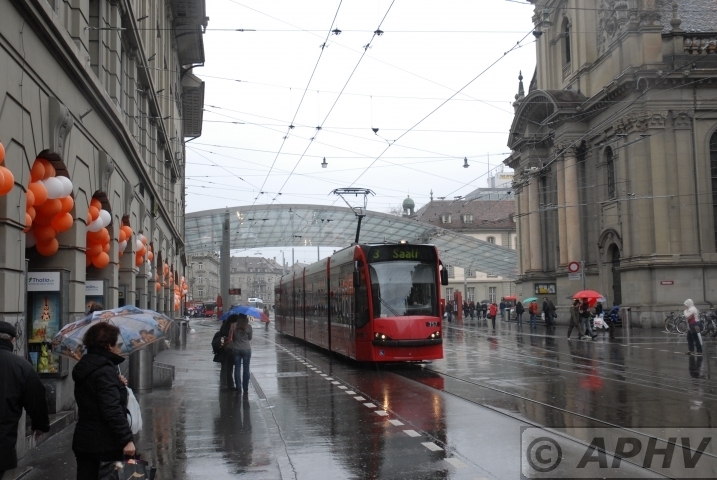 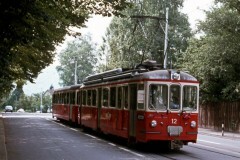 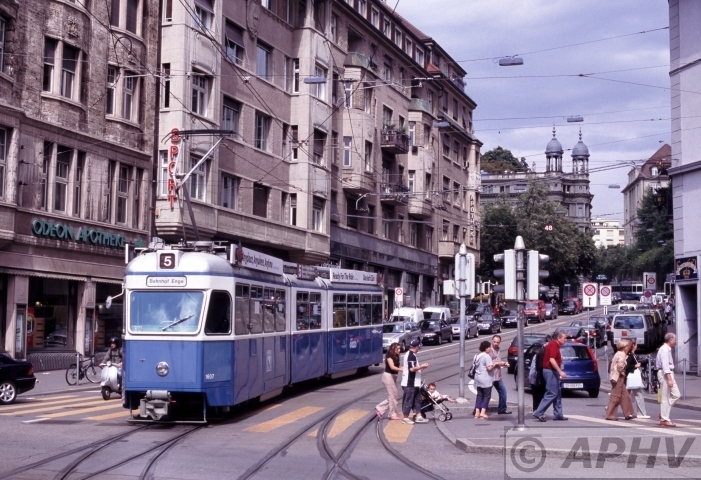 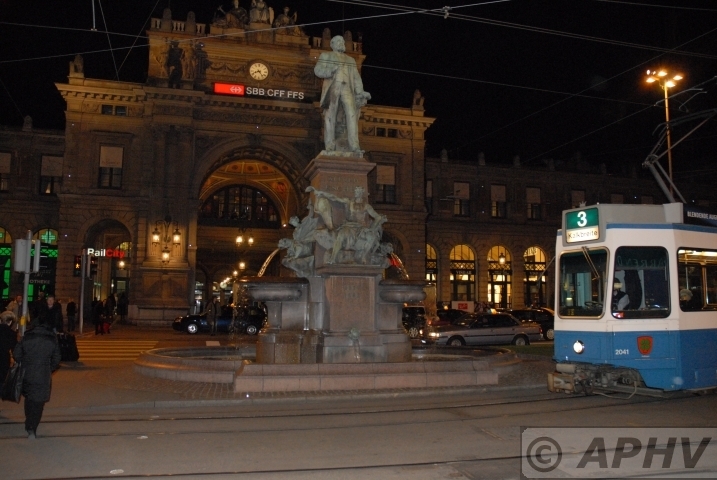 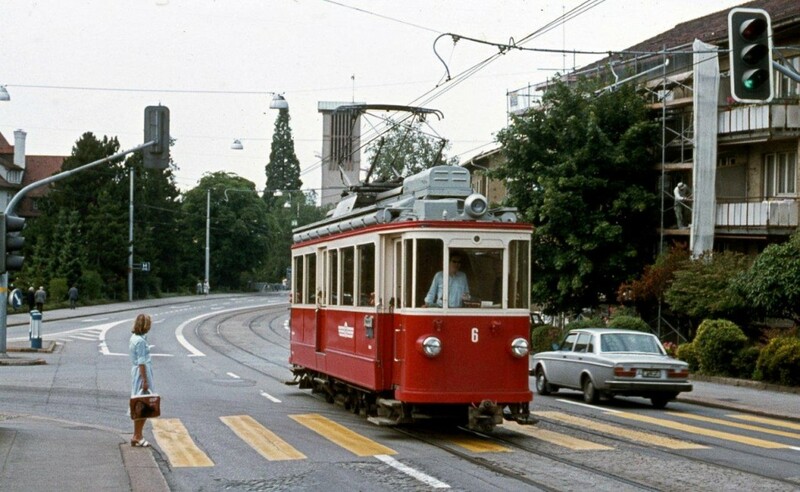 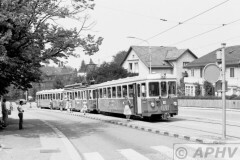 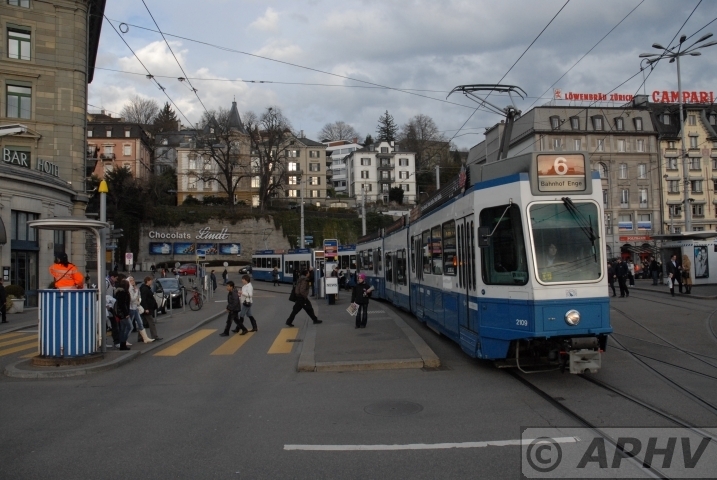 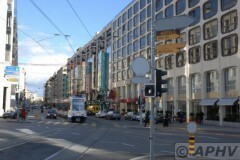 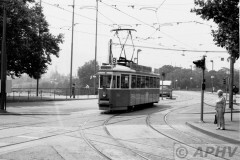 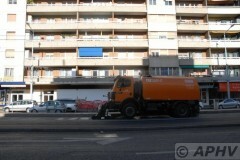 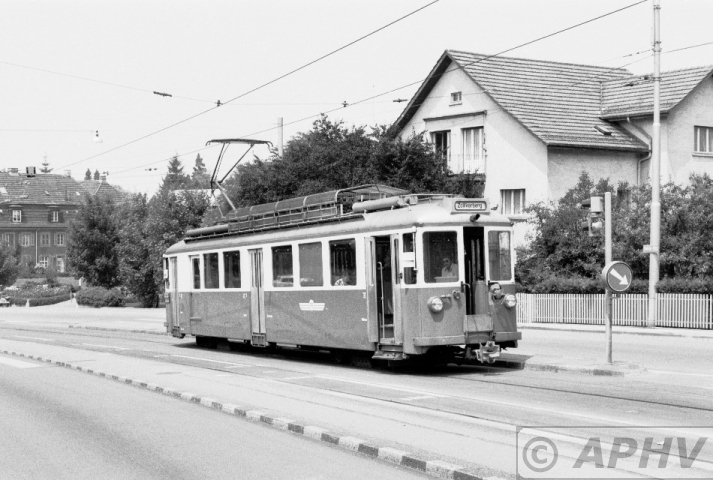 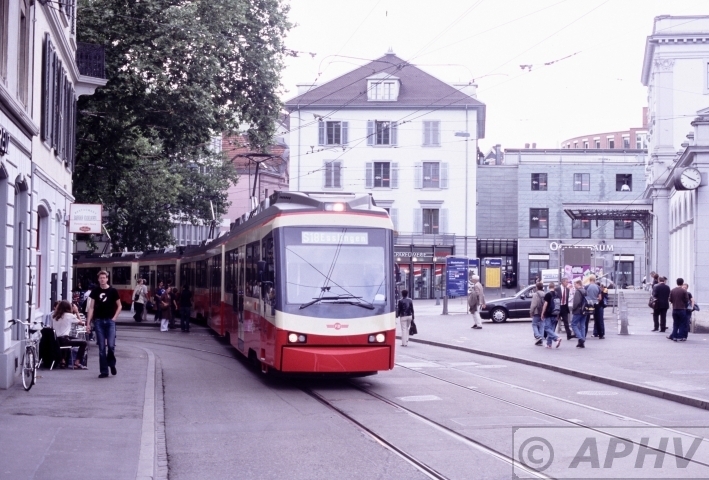 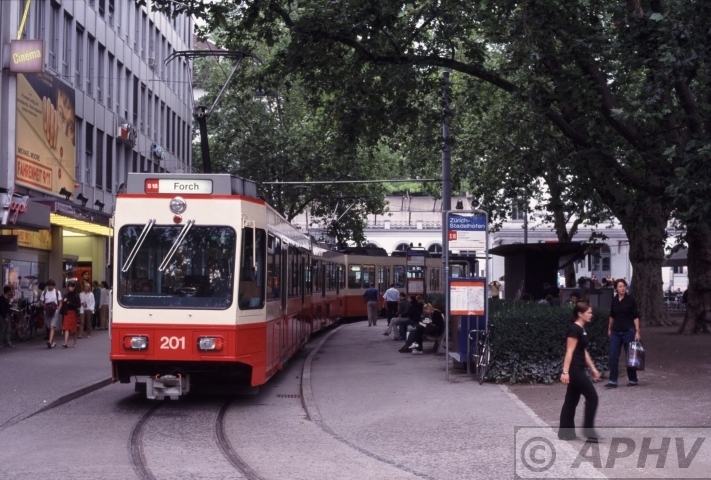 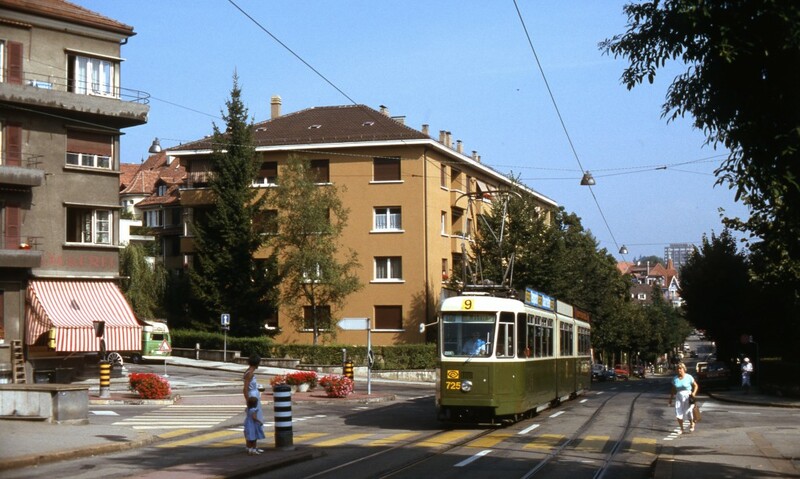 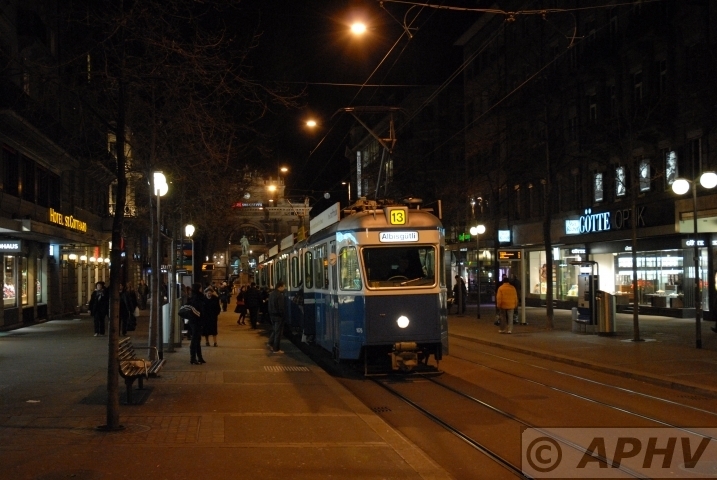 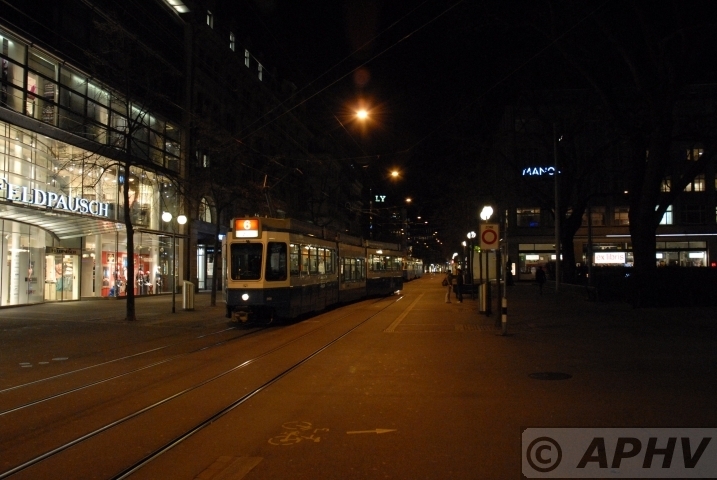 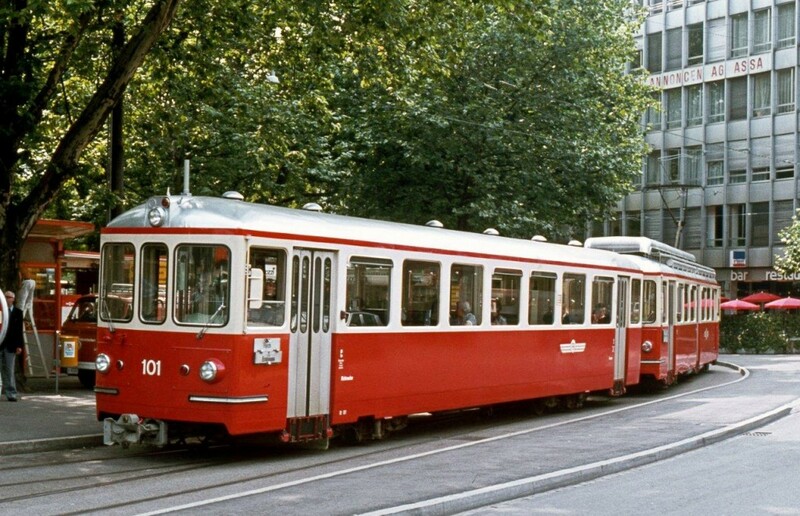 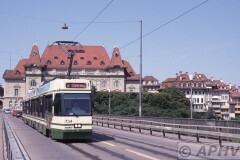 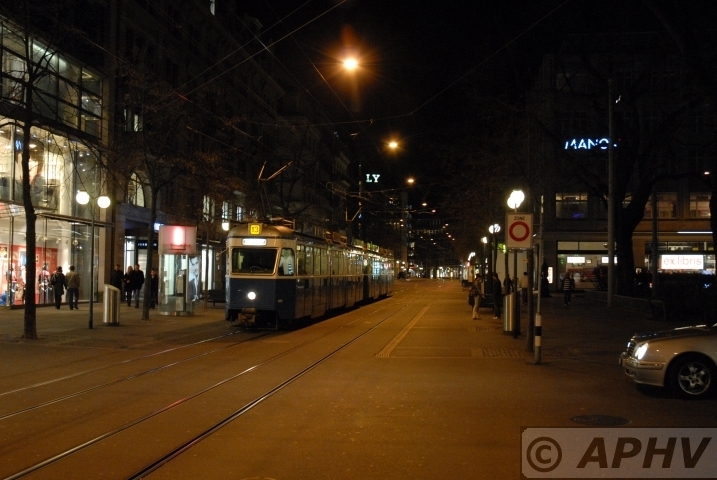 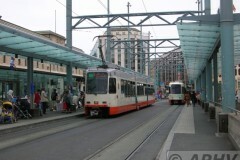 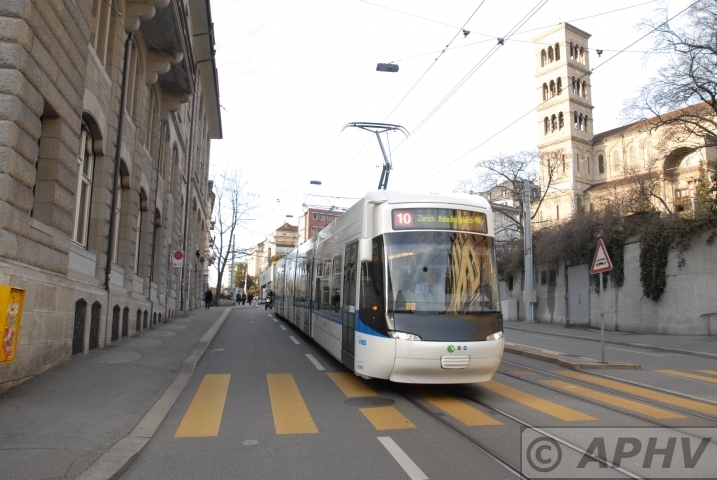 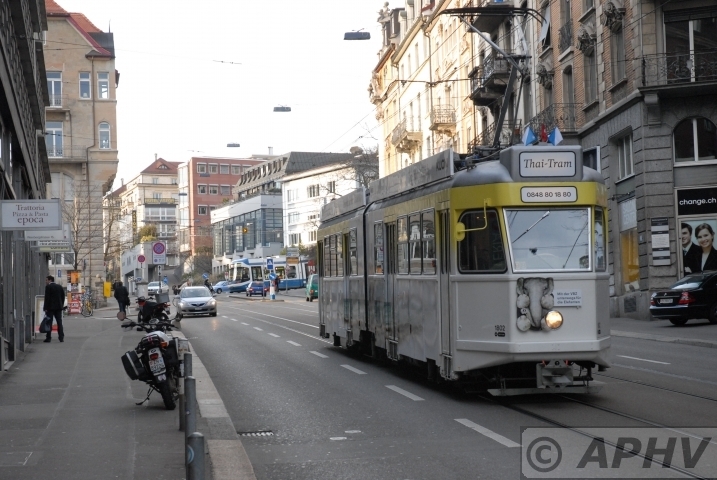 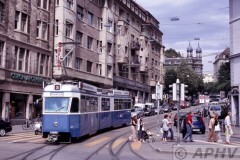 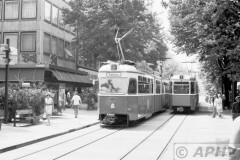 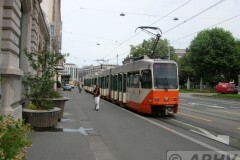 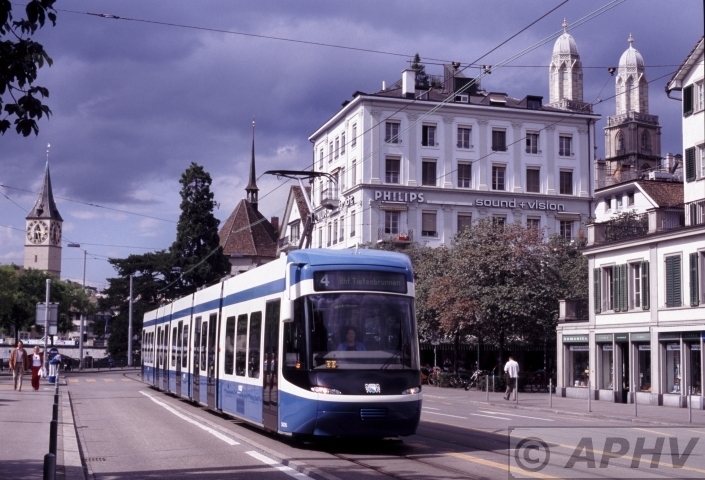 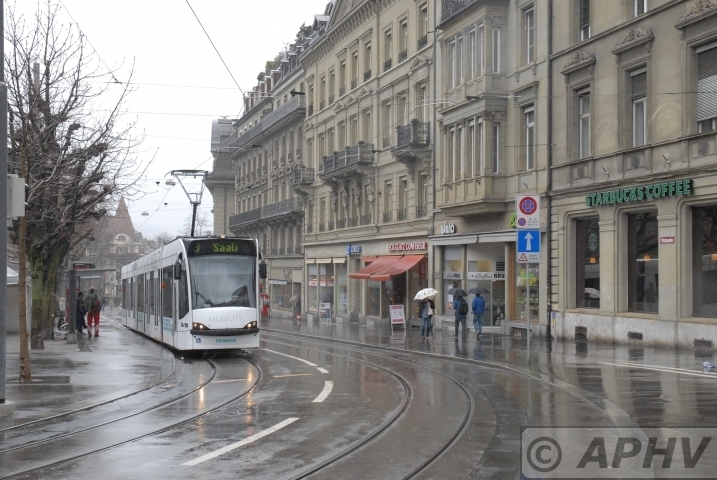 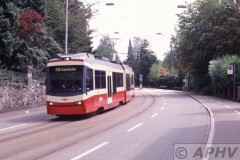 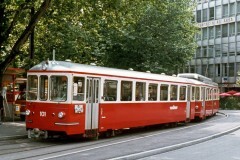 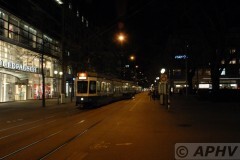 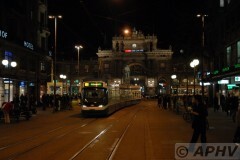 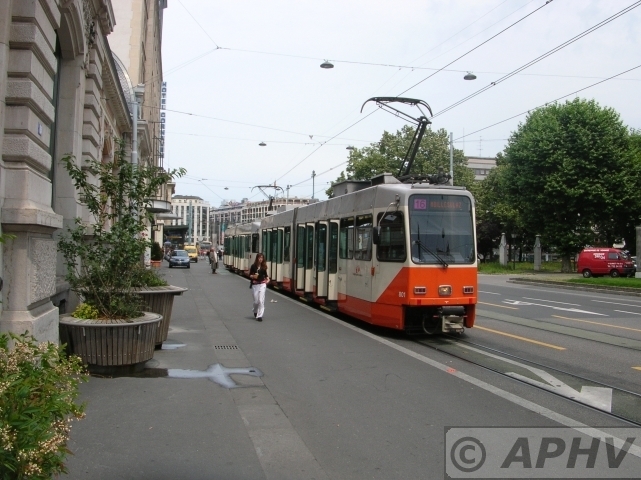 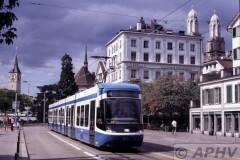 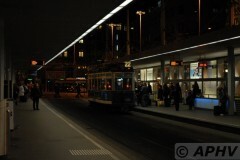 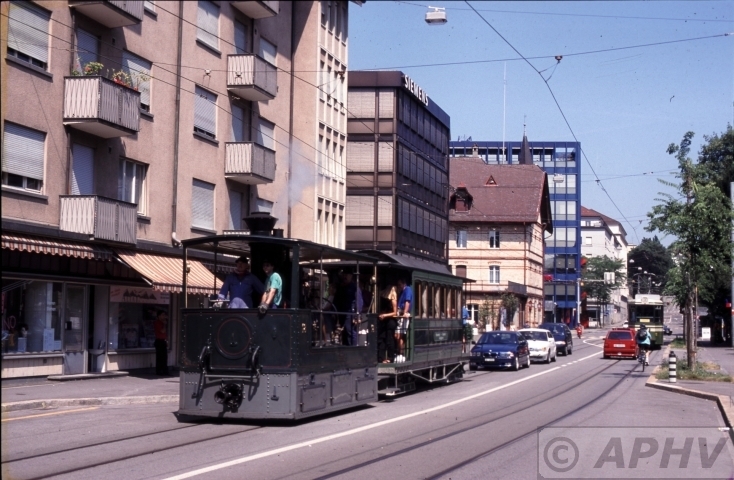 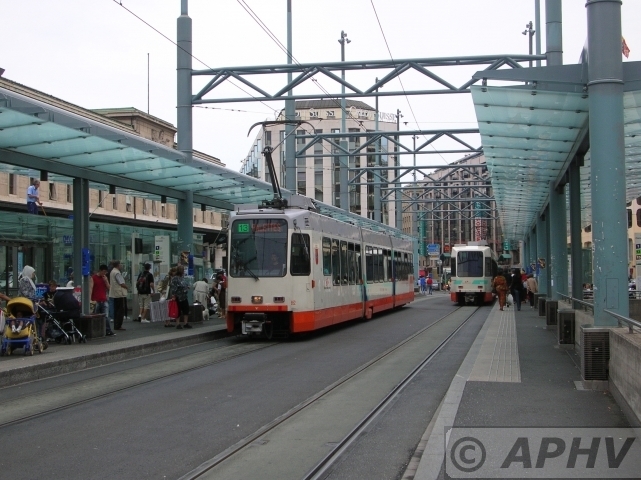 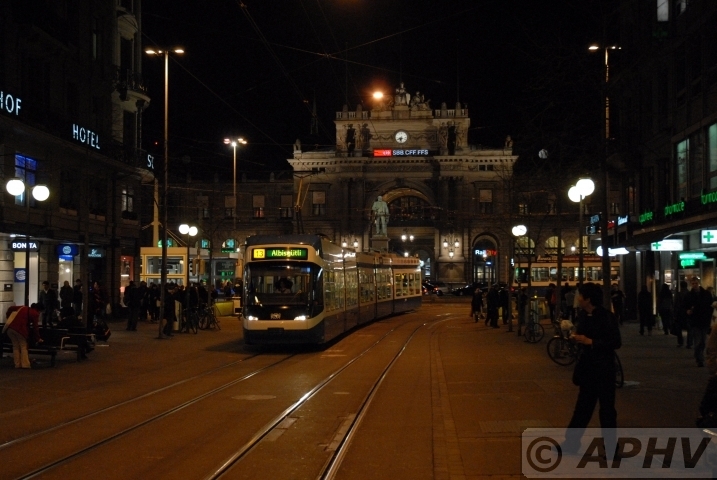 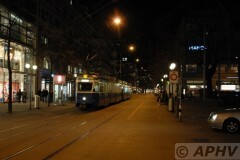 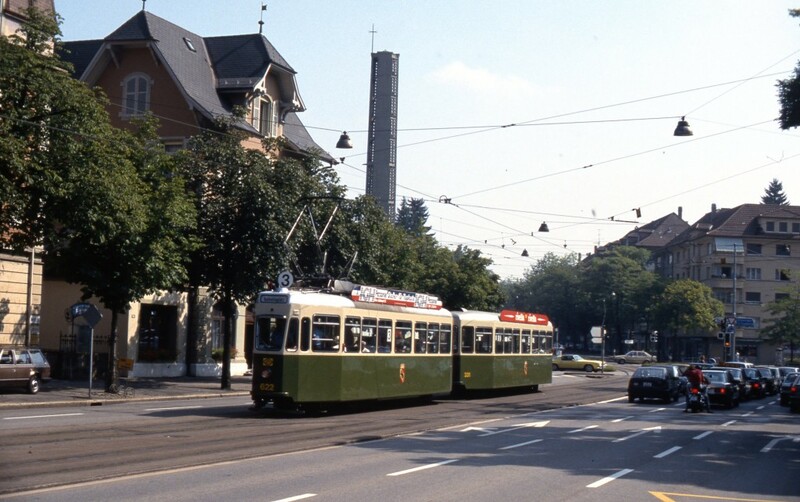 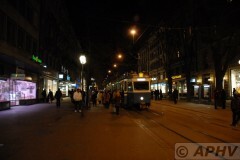 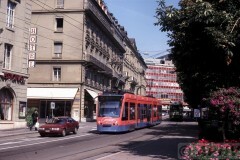 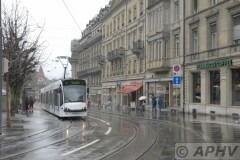 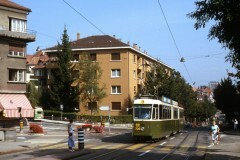 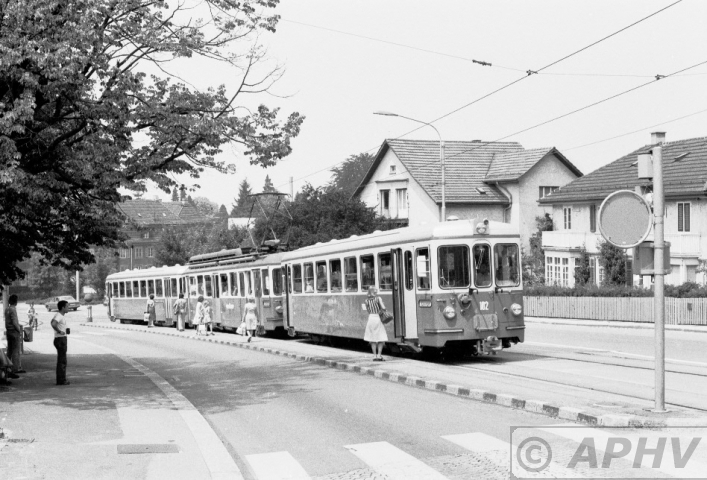 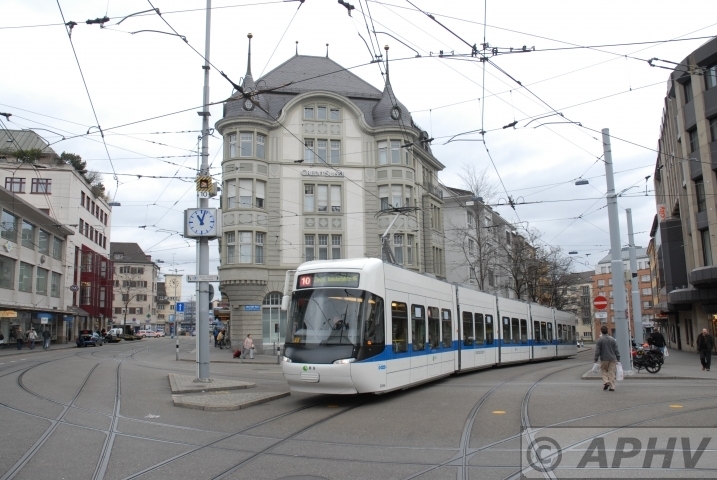 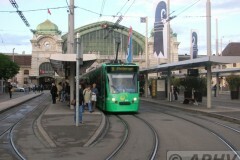 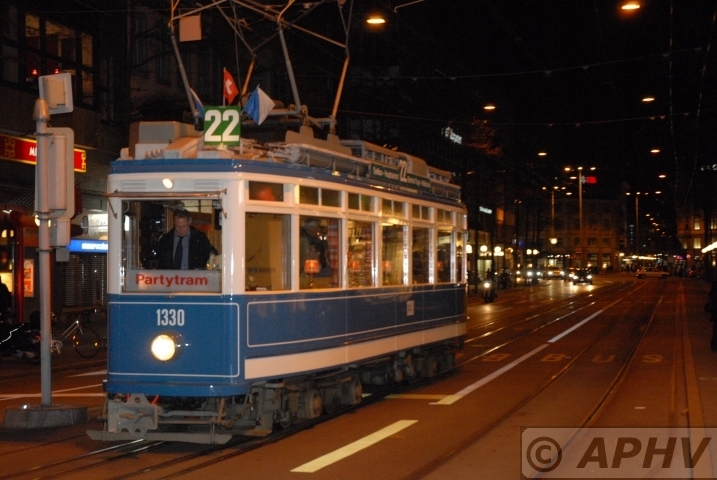 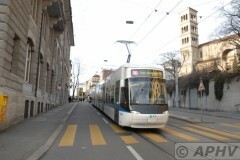 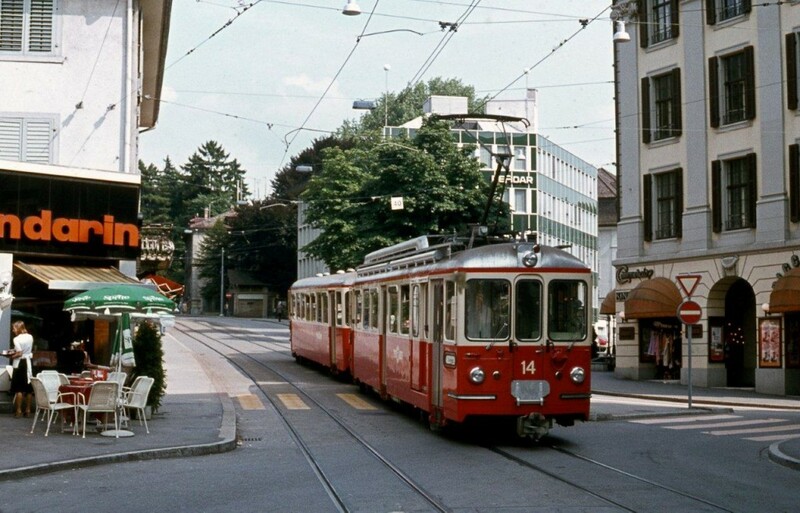 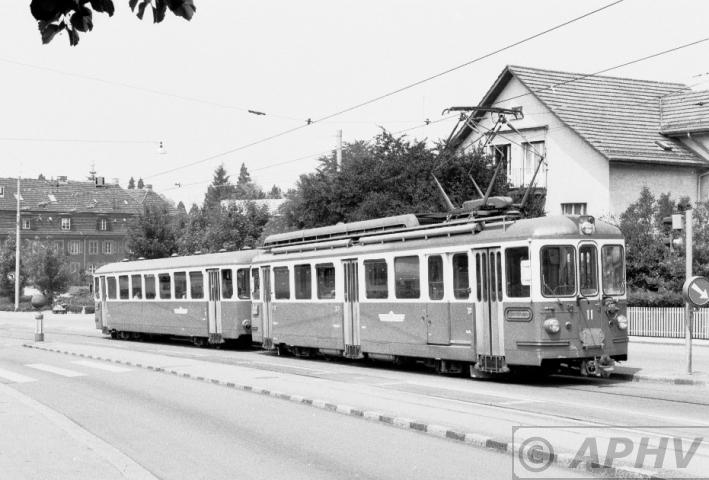 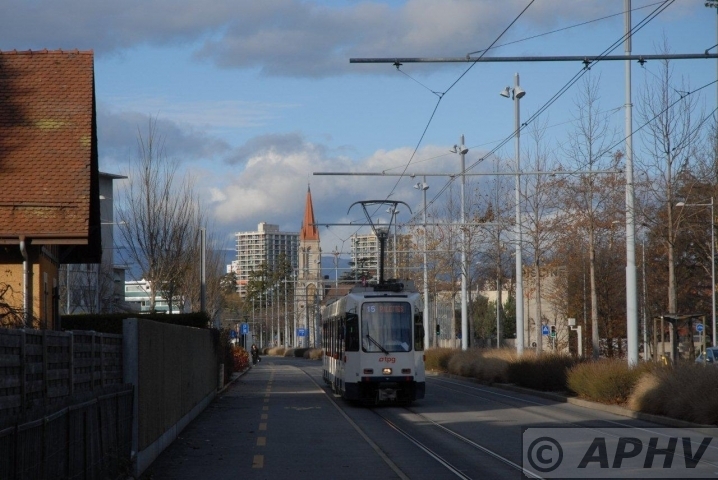 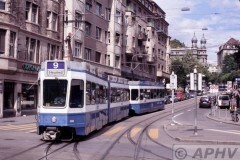 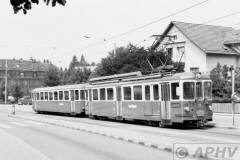 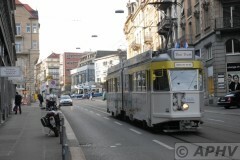 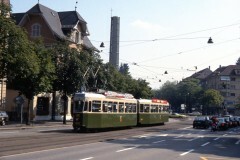 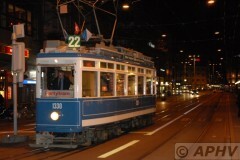 It was in Bern for more them just a few days and could be seen this day with the steamtram running in the same streets.